SAGITA COM - Light Image Resizer adalah perangkat gratis yang mengatur foto dengan mengecilkan resolusi gambar atau memindahkan dalam hard drive Anda. Ini adalah alat yang sangat efisien bagi mereka yang menyimpan gambar digital dan foto pada PC dan yang ingin mengubah ukuran, kompres, mengubah, membuat salinan, impor atau mengatur foto. 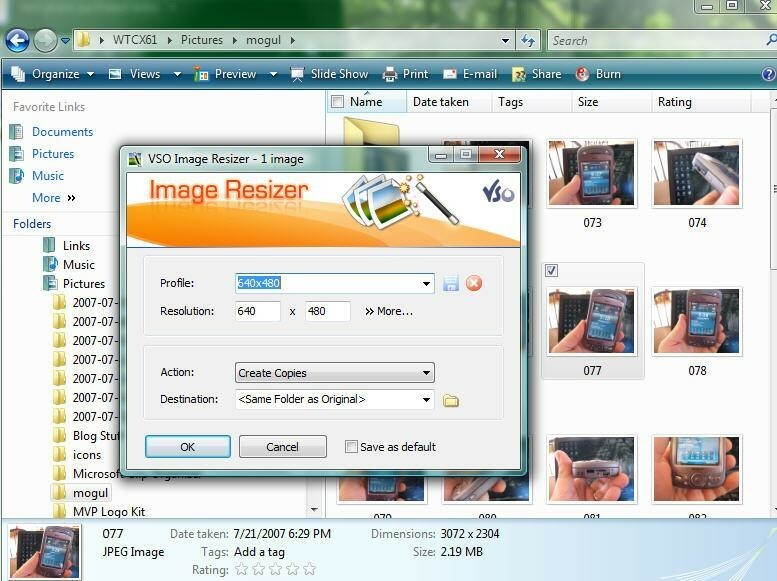 Light Image Resizer terintegrasi ke dalam explorer shell Windows, klik kanan pada gambar dan software ini langsung bekerja. new filters, top quality and new algorithms. Smart digital frame transfer assistant, to optimize the digital photo frame experience. New resize method seam carving. new engine, 2x faster, support multi-core CPU. works on file, folder and subfolders. Support file formats: Jpeg, gif, bmp, tiff etc see more formats. Support Digital Camera RAW formats: Canon .CR2, Nikon .NEF , .MRW Minolta etc see more formats. Webmaster tool : Add your logo or watermark file. Reduce photos size, perfect for web publishing/share photos by email. Integrate in windows explorer or works as a stand-alone application. Import directly from your memory cards. Save history of destination folder. Variable options and settings for advanced users.